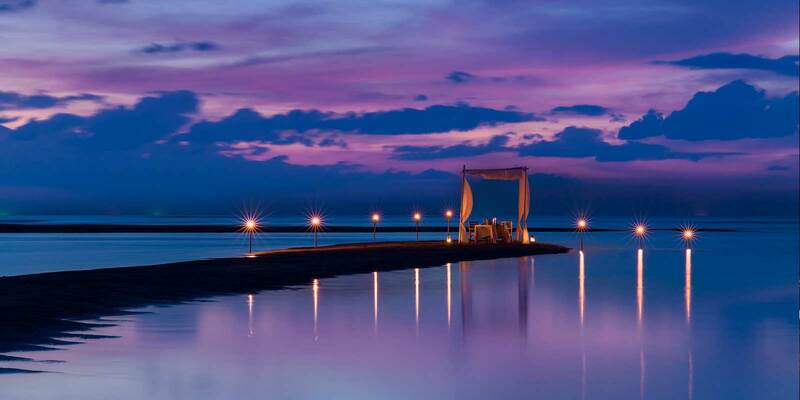 Join us at The Sarojin – Khao Lak Resort in Thailand, a secluded luxury boutique beach hideaway, and embark on a personal journey of discovery to re-connect with your passion for love and life. Our romantic resort in Khao Lak, Thailand is a sanctuary amidst stunning nature, alongside a heavenly 11 km white sand beach and within easy reach of Similan Islands, Phang Nga Bay and five stunning national parks. 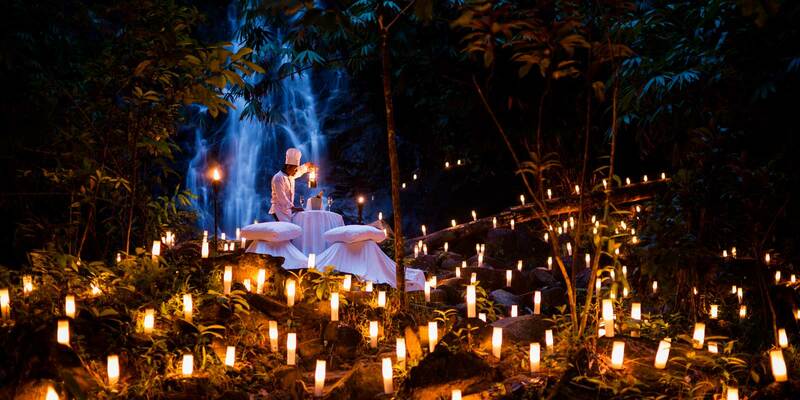 At The Sarojin – Khao Lak Resort, we offer a very personalised experience with each day bringing brand new delights. Indulge in a sumptuous a la carte breakfast with sparkling wine until 6 pm, extraordinary private dining experiences at the jungle waterfall or private beach, a rejuvenating spa massage lulled by the sounds of the Andaman Sea or an unforgettable day trip on the Lady Sarojin luxury boat, to name just a few. 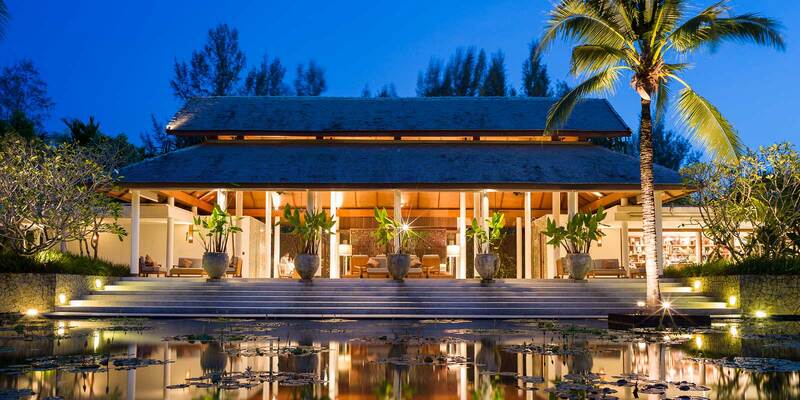 The Sarojin – Khao Lak Resort in Thailand, comprises 56 luxury guest residences situated in 7 separate two-storey buildings, each intimately set within 10 acres of lush tropical gardens and direct access onto an 11 km secluded white sand beach. Careful design allows abundant space and privacy to blend harmoniously with nature. Sublime, serene, peaceful. Romance is celebrated at The Sarojin – Khao Lak Resort, The gorgeous tropical location, 11 km of secluded white sands, idyllic guest residences, extraordinary private dining venues and the Imagineering team are all on hand to give you the most memorable and intimate holiday possible. Whether you hold your wedding, celebrate your honeymoon, anniversary or renew your wedding vows, or simply seek a romantic break together, The Sarojin – Khao Lak Resort, team will help you create memories to keep forever. 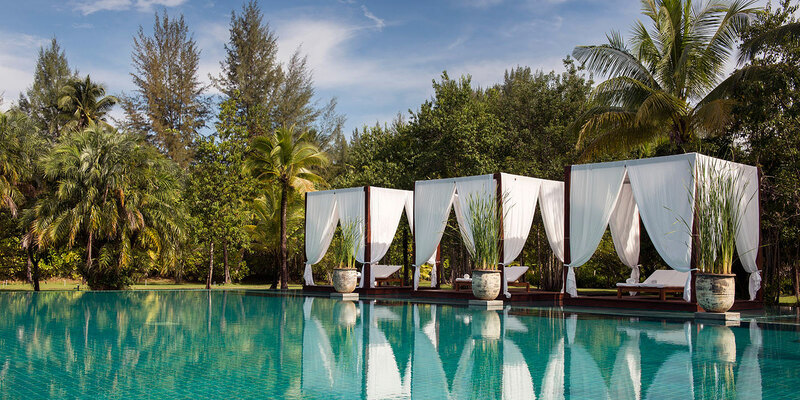 The Sarojin – Khao Lak Resort, is located in Khaolak, Phang Nga province, Thailand and just 1 hour drive north of Phuket International Airport, beautifully ensconced in a lush tropical garden setting with direct private access onto a secluded 11 km white beach by the Andaman Sea. By virtue of being sheltered by Pakarang Cape, a coral cape headland, The Sarojin beach provides year-round swimming and water sports. The Sarojin – Khao Lak Resort, is surrounded inland by five spectacular primary forest national parks including the adventurous Khaolak and Khaosok National Parks. The world famous dive sanctuaries of the Similan Islands and Surin Islands, (one of the top ten world dive sites), is less than an hour away by boat (direct from The Sarojin beach). Phang Nga Bay renowned for its dramatic limestone islands and captivating sea cave canoe journeys is 45 minutes away. Three 18 hole golf courses all are easily accessible within 20 minutes – one hour. Transfers by The Sarojin – Khao Lak Resort, private car fleet from / to Phuket International Airport, can be booked, with complimentary wi-fi hot spot, refreshments and cold towels.